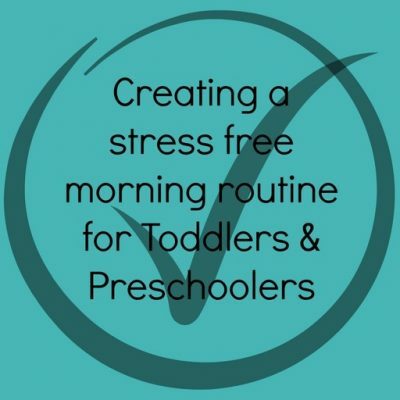 Building a solid morning routine with preschoolers can drastically improve chaotic and stressful mornings trying to get everyone out the door. Research shows that children thrive on routine and situations where they know what to expect. When we as parents and caregivers provide them with routine we give them the tools to grow into more independence and feel confident in what their day holds for them. Creating a habit of routine from a young age teaches the importance of consistency. There is also value in teaching that routines are flexible and able to be molded to the ever changing needs of the family. Take a picture of your child in each step that is part of your regular morning routine (waking up, brushing teeth, getting dressed, eating breakfast… etc.) Use these pictures to create a schedule they can follow. This is especially helpful with toddlers and young preschoolers who aren’t reading yet! They will be able to check back at the schedule after each step and see what they should be doing next, seeing themselves in the photos makes the schedule relatable and fun! This schedule could be as simple or as involved as you would like, here is an example using a poster as well as an example using clothespins. Create a chart to show each step that will need accomplished in the morning. As each phase is completed children can cross off, use stickers, highlight… etc. Here’s a free chart you can use as an example or download to get started today! Finding the perfect routine requires experimenting and seeing what works best for your child as an individual. Some children enjoy choosing their outfits the night before while some prefer to pick out their outfit in the morning, some children respond better to waking up to an alarm clock versus being woken up by mom or dad. As your routine takes shape you’ll find what works best for your family! What are some ways you smooth out your mornings with routine?